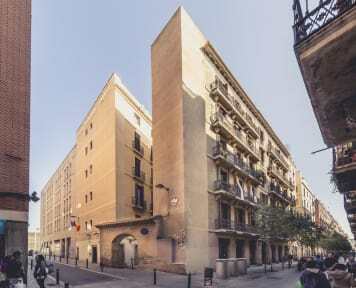 Pensión Miami is located in the Raval neighborhood, one of the oldest and most picturesque districts of Barcelona. Staying at the Raval you can feel the ethnic and multicultural mix of the city. We have a vast experience in the hospitality sector and a great knowledge of the city that we capitalize both elements to ensure a great stay to our guests and travellers. 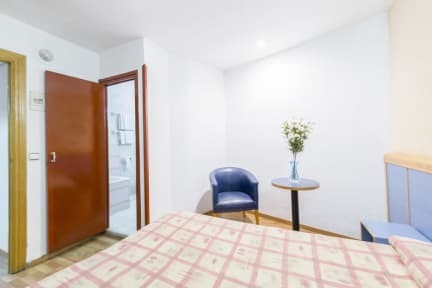 Located in the picturesque Raval district, the hotel is less than 6 minutes from Las Ramblas or Plaça Catalunya and 200 meters from the Universitat stop, making the hotel a perfect starting point to visit the city. In addition, we are near to several bus and metro stops, so you can explore any corner of the city easily from our facilities. Cozy and comfortable, this is the perfect room for travelers. They are equipped with: free WiFi with high speed connection, TV, air conditioning, etc. The standard room is equipped with two beds. In addition, we have several common areas where the guests and travellers can get together and enjoy the best of our facilities.